During last week’s North American League of Legends Championship Series matches, FlyQuest drafted a Mordekaiser pick for their marksman player Johnny “Altec” Ru. It was a potent pick for the team in their match against Envy, winning both games in FlyQuest’s 2-1 victories. As an astute Reddit user familiar with Mordekaiser pointed out, though, the LCS broadcast also highlighted many of Morde’s persistent bugs. 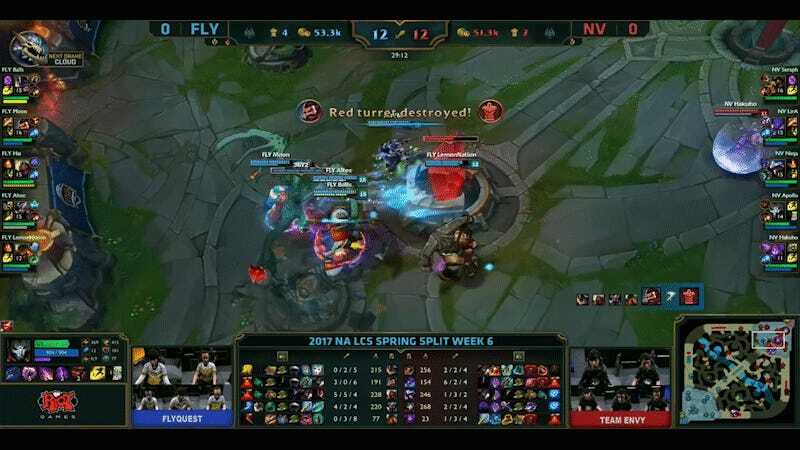 In the post, user “Naerlyn” points out 22 unique bugs that occurred on-screen during the LCS broadcast, and a total of about 70 bugs overall. These ranged from Mordekaiser’s Q and W doing literally no damage in some circumstances to his ghost ability failing to gain all the utility it should. The best example of this is Mordekaiser’s ultimate, Children of the Grave. It lets him actively curse enemy champions and passively curse the dragon. If something dies while under the effect of his curse, he gains a temporary controllable ghost of the cursed unit, which can move around and attack enemy champions. It’s really effective in teamfights, where a Mordekaiser curse and some focus fire can turn a five-on-five into a six-on-four. It’s a little ineffective at times though, because the ghost frequently doesn’t do what it should. During the FlyQuest series, Morde’s ghost would receive the incorrect amount of health, wander off to do something it wasn’t commanded to do, and fail to apply certain on-hit effects with its attacks or passives like the burn of Sunfire Cape. Even stranger bugs prevented the ghost from attacking as much as it should. In the GIF above, you can see the dragon failing to execute an attack command on the enemy inhibitor, instead walking around it. So while Mordekaiser was brutally effective for FlyQuest in its series against Envy, it was also a showcase for how desperately the champion needs a tune-up. When will that be coming? A post from a member of Riot’s balance team posted in the forums that Morde was “fairly high priority” for a full update, though there are three others (Galio, Urgot and Evelynn) on the list ahead of him, and some others with the same level of priority. Ironically, it’s possible Ru’s performance on Mordekaiser might have delayed an inevitable rework for the time being.